Nationwide Lifts is America's leader in home elevators and a glass elevator manufacturer with five exciting models to choose from. Our Vision and Visi model elevators offer dramatic panoramic views with clear panel construction that offers exciting 360 degree views that encompass your home. The elevators make up to four stops and hold from 350 to 850 pounds, with the three largest models wheelchair accessible. When it comes to installing a Nationwide Lifts glass elevator, you'll be pleased to know they require no pit or machine room. They are self-contained designs that can be installed almost anywhere in a structure that improves independence and mobility in the home. Our elevators operate with pneumatic mechanisms or winding drum cable systems that move the cab inside the hoist way to provide panoramic views of your home. Nationwide Lifts is proud to offer the industry's best warranty – 10 years on mechanical parts, three years on electrical devices, and a full year on labor. We also provide 24/7 telephone service, so you can call us anytime for information on your glass elevator. You can call us right now toll-free at 888-221-8525. 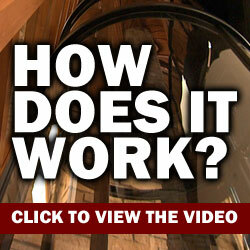 A representative will be happy to provide details on our glass elevator models and offer a free quote. Nationwide Lifts is the nation's premier glass elevator manufacturer, with five Vision and Visi models to choose from. 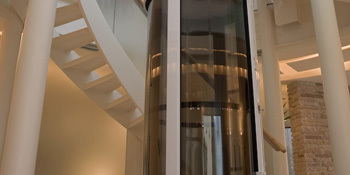 Our glass elevators range in size from 30" to 58" in diameter and weight capacity from 350' to 850'. All of our glass elevators offer dramatic panoramic views from their crystal clear compartments that increase mobility and bring convenience and comfort into the home. 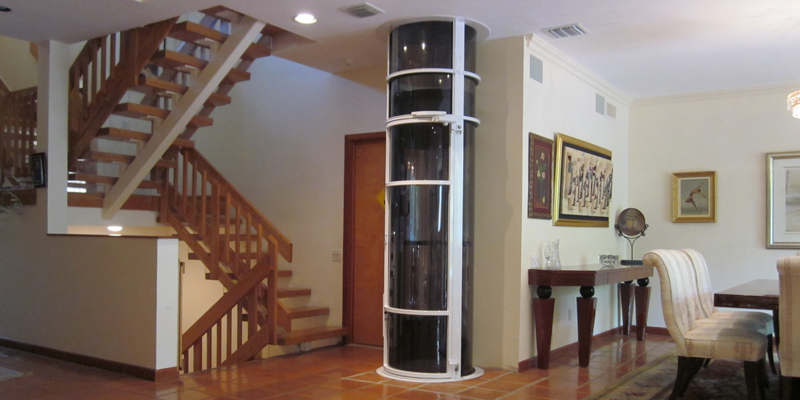 Don't miss out on the chance to install a dramatic glass elevator in your home. Contact Nationwide Lifts today for details and find out how we can install a glass elevator your family will enjoy and guests will admire.